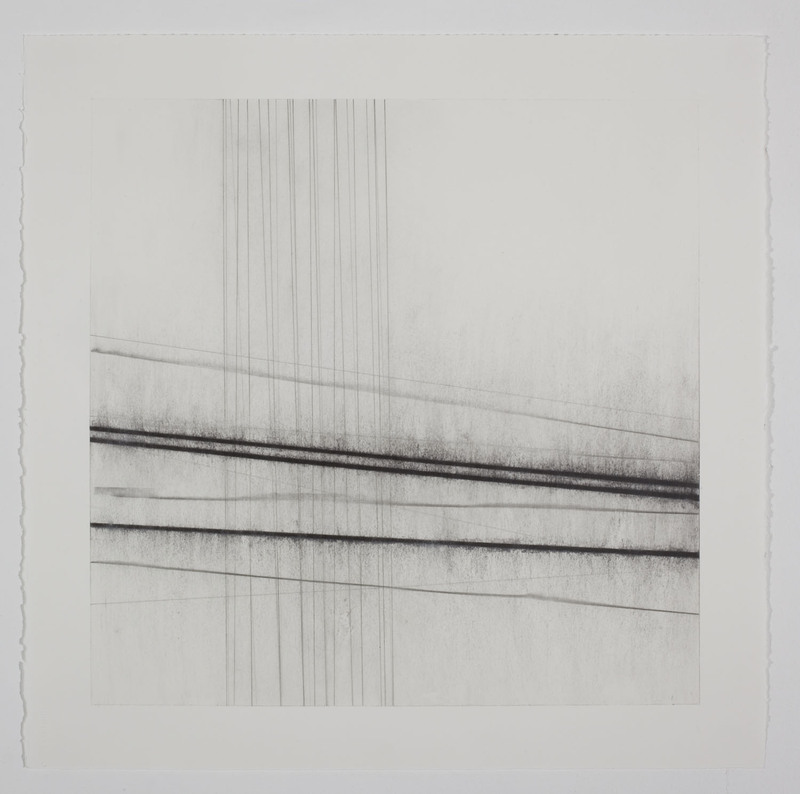 “Discords II hints at ephemeral moments: glimpsed landscapes, distant piano notes, remembered words read aloud. 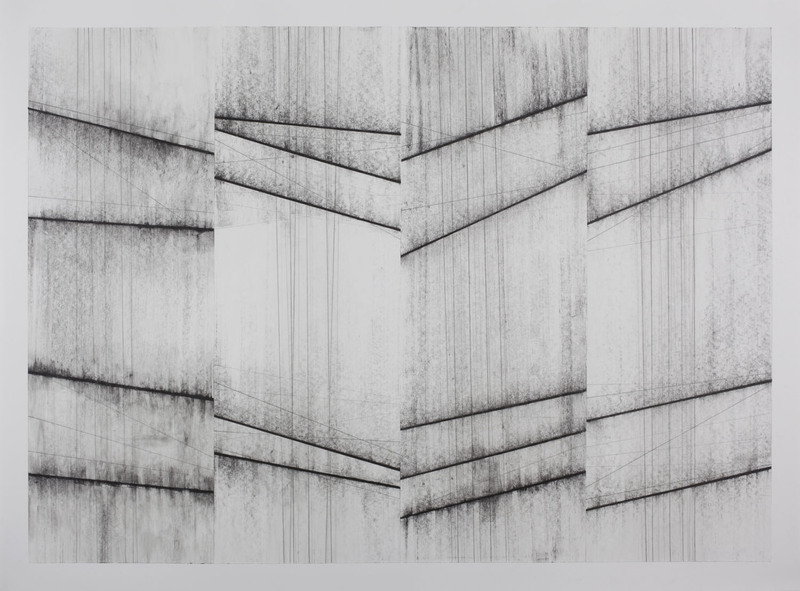 At the edge where the panels meet a sense of seismic shock suggest shifting uncertainties. 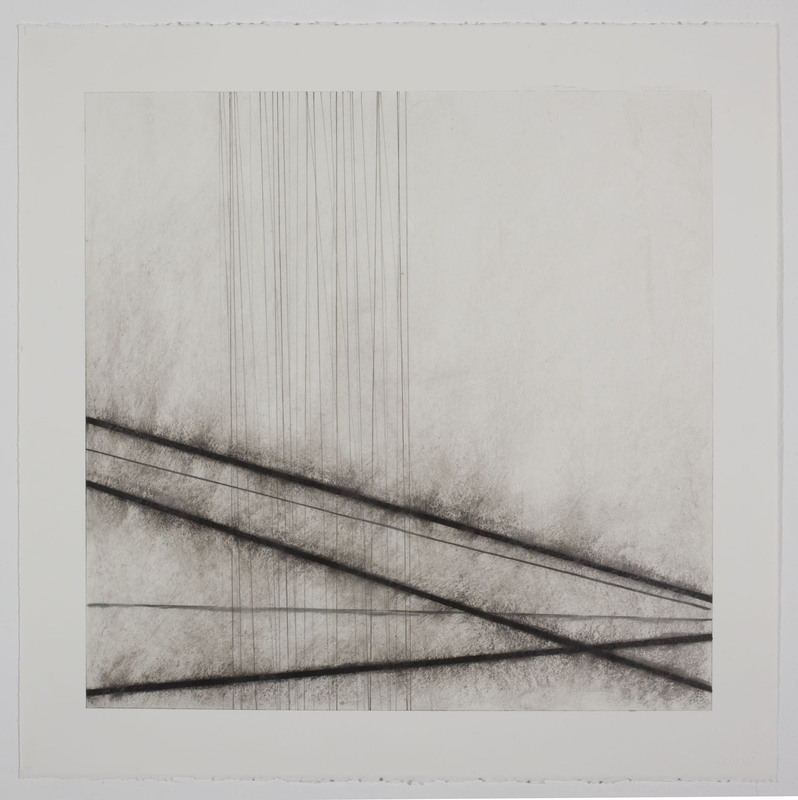 This drawing is part of the De Profundus Suite, which had its genesis in experimental studies using ink on plucked strings, made whilst listening to the music of John Cage. 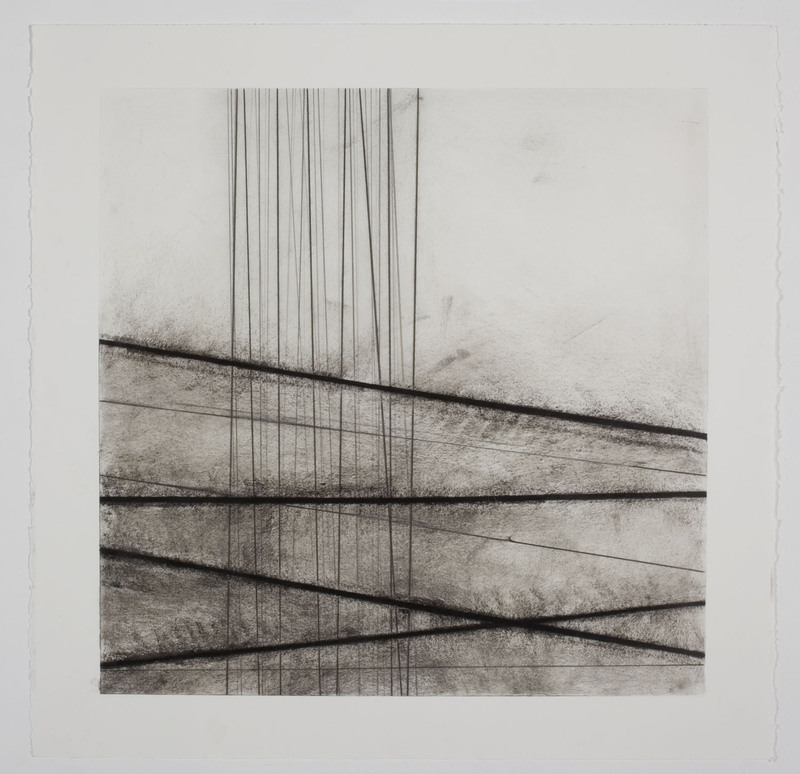 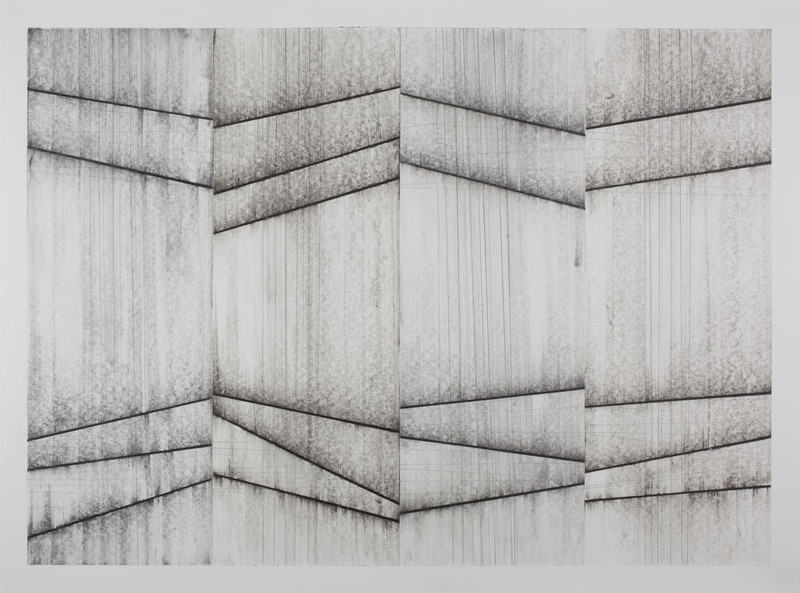 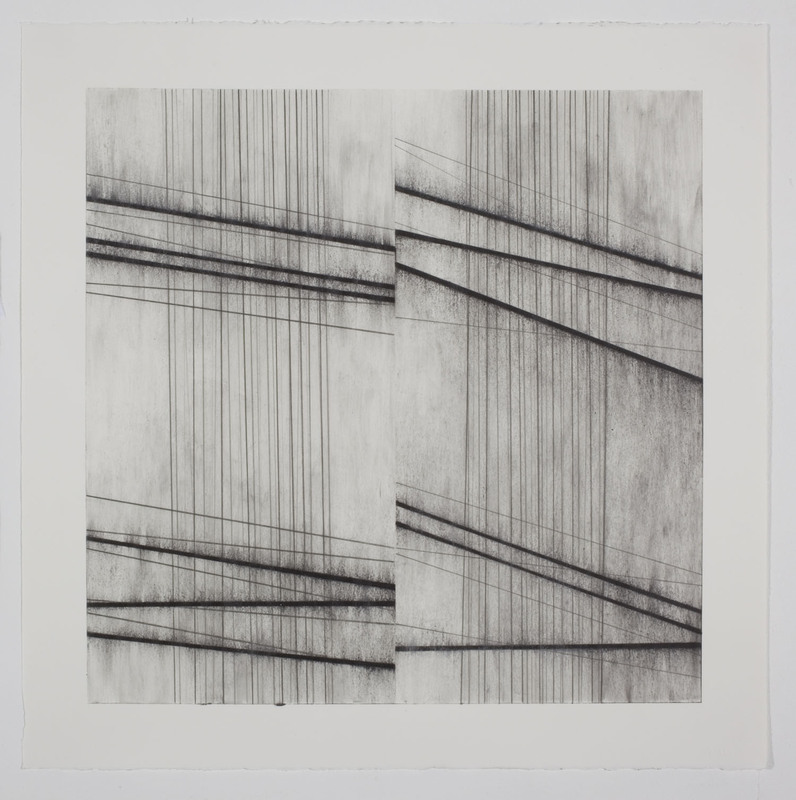 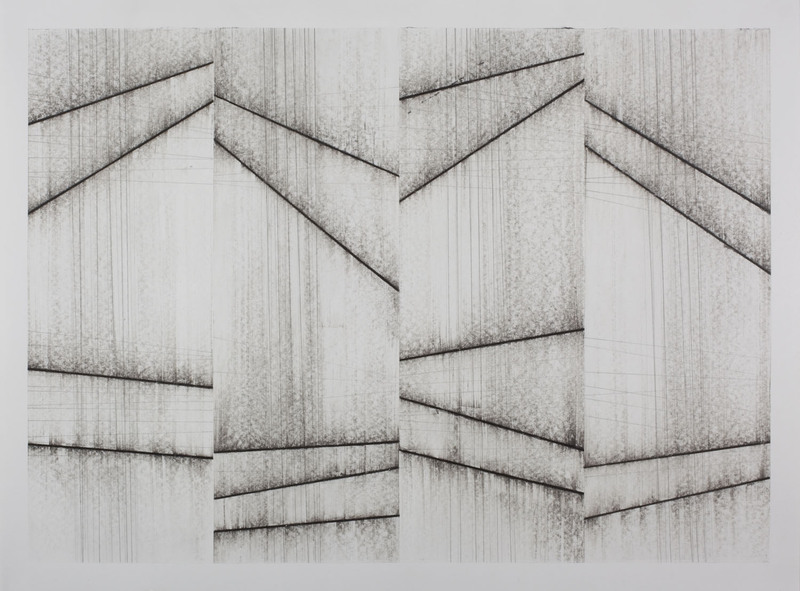 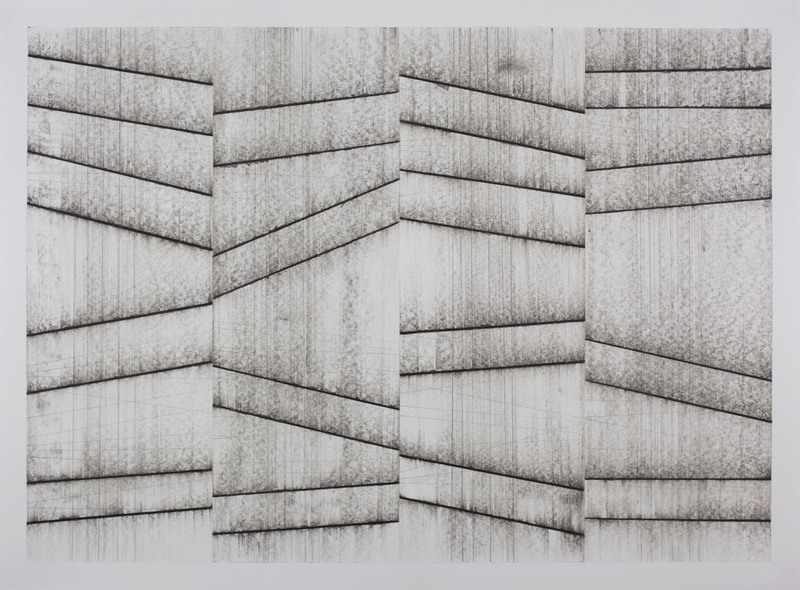 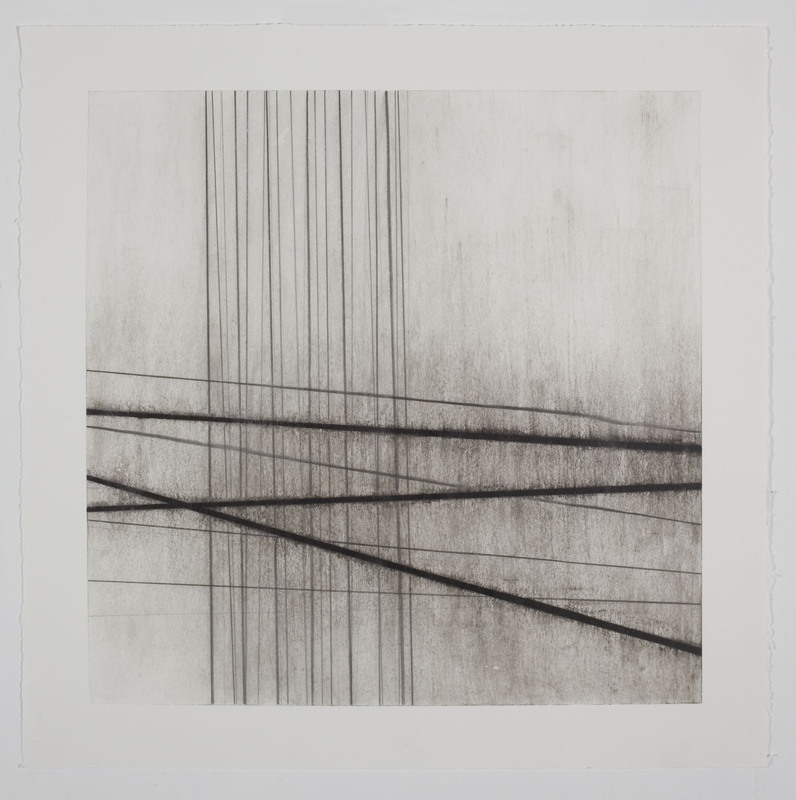 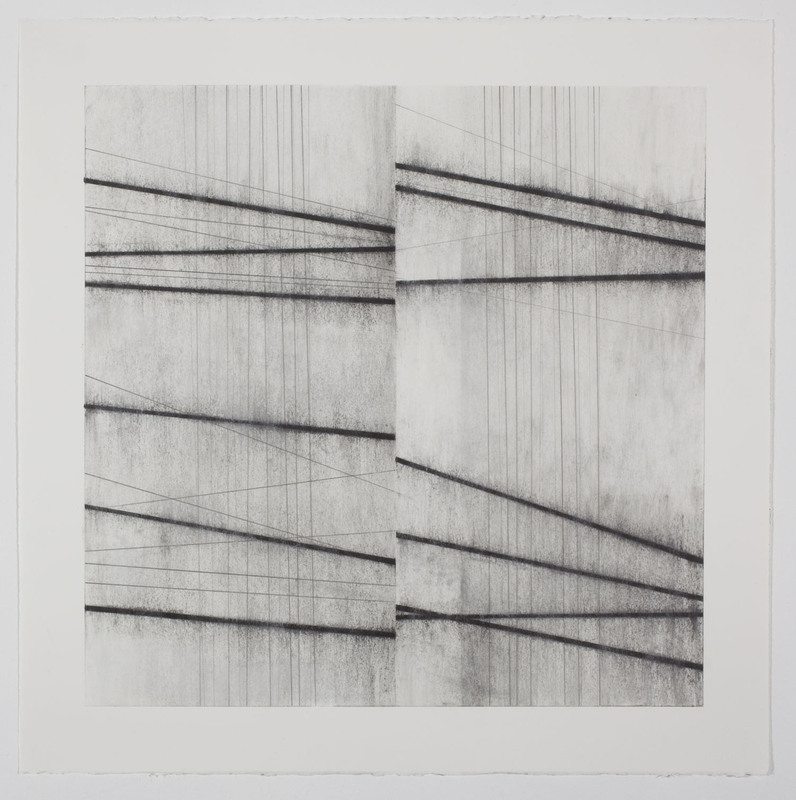 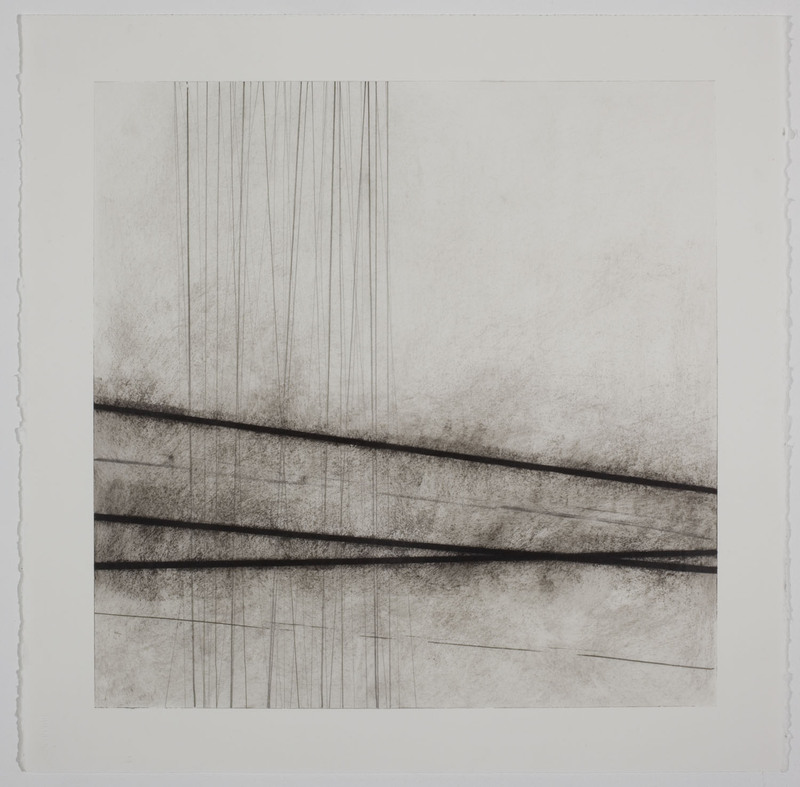 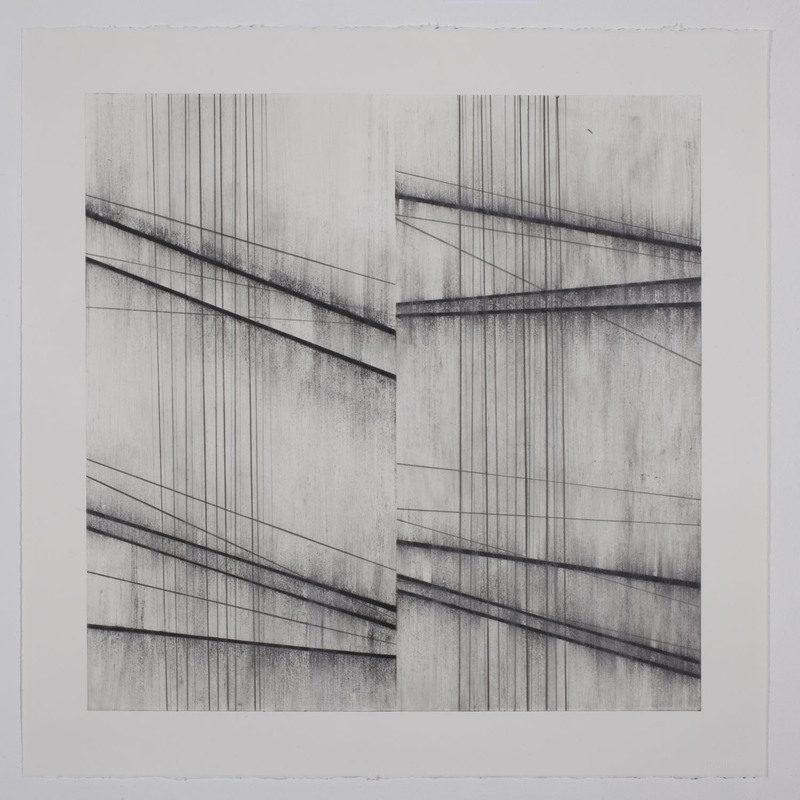 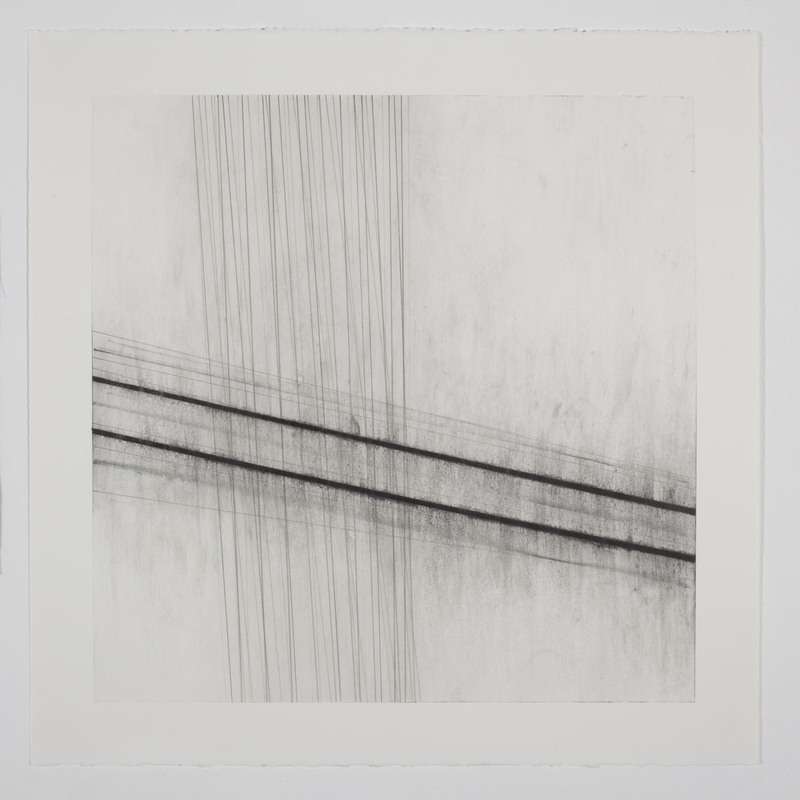 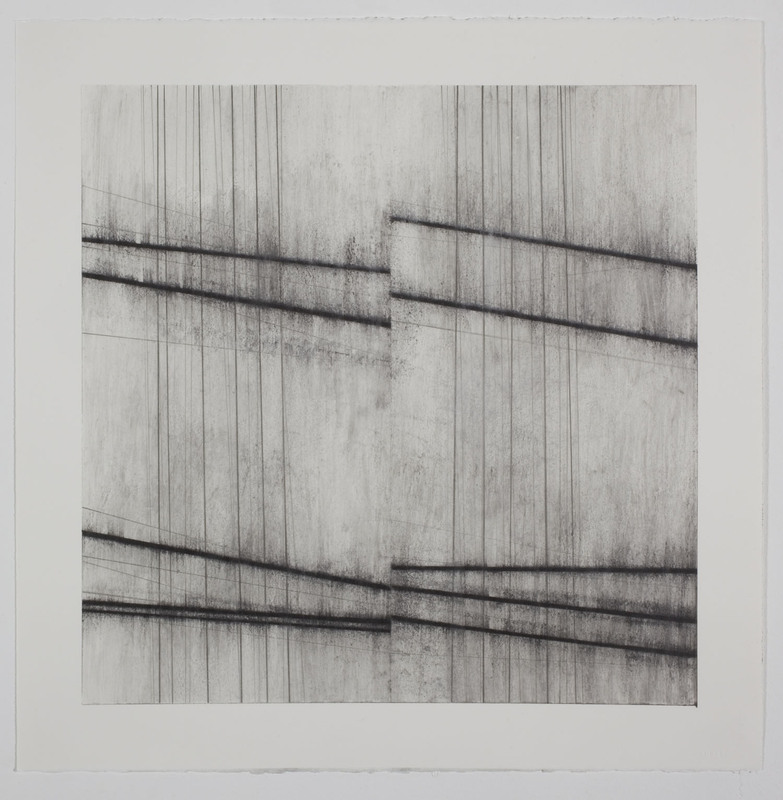 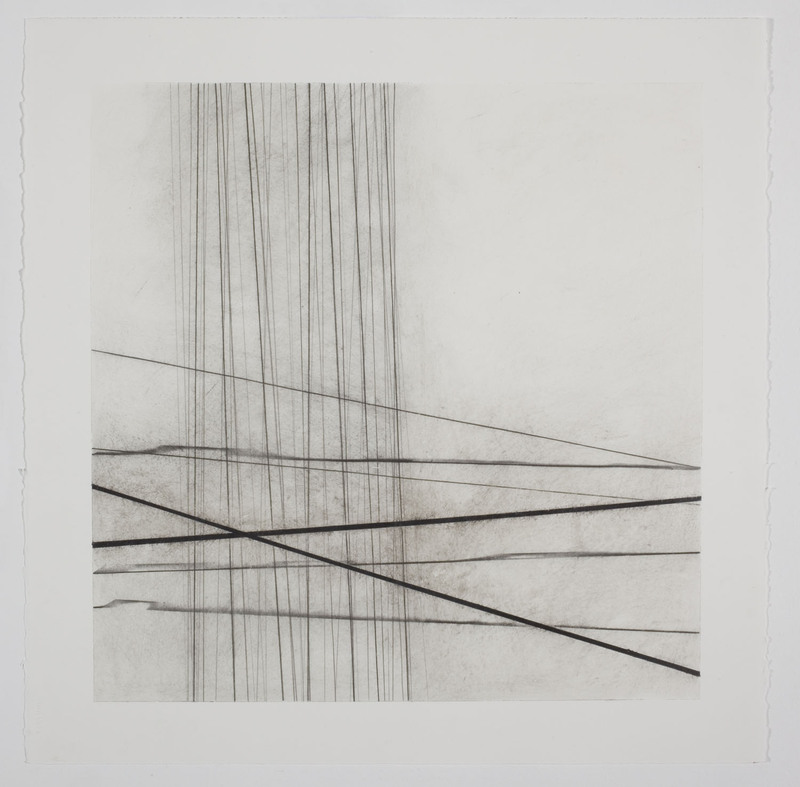 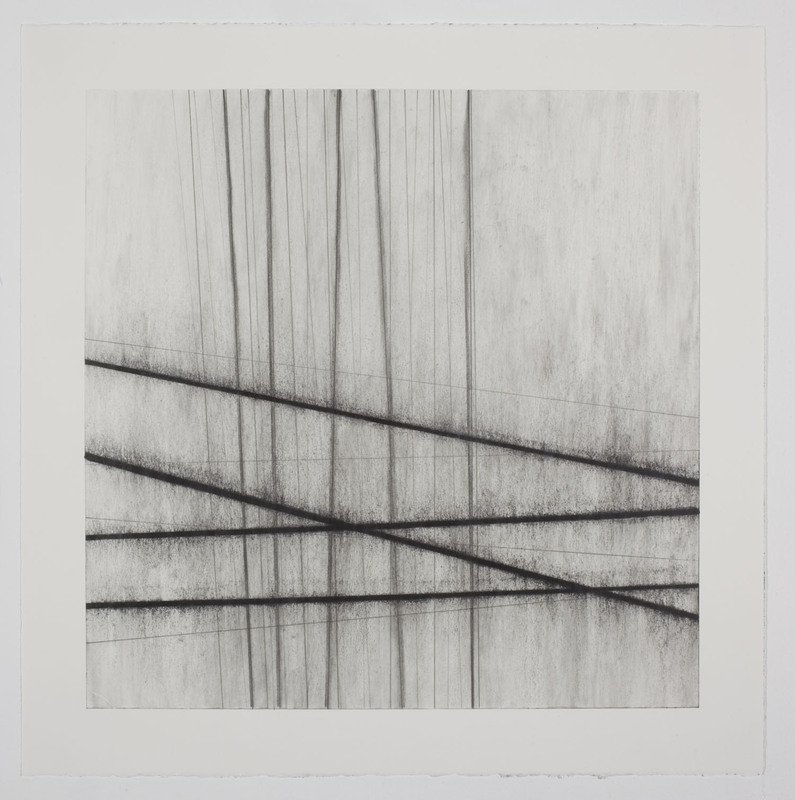 The reference to Cage does not imply a relinquishing of control over the final image; these drawings are orchestrated and considered, embracing the measured tones of composers like Bach as much as the randomness of Cage.” Jerwood Drawing Prize 2012 Catalogue.